The Vuforia AR Extension for Unity allows developers to build AR apps using the cross-platform game engine – Unity. Working with both the free and pro versions of Unity, Vuforia is not only free it is also one of the best out there in terms of tracking and image based tagging. 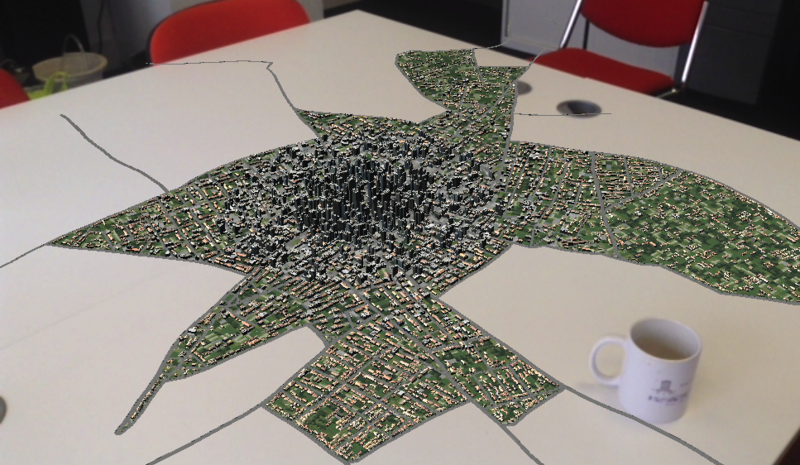 We will be exploring this further over coming weeks, it opens up a lot of possibilities for augmenting city models (and office desks) with urban data visualisations via custom made iOS/Android apps…. For those finding this later, Vuforia is most definitely not free. It can be freely developed with, but requires expensive licenses if you want to publish.